BEIRUT - Syria has become a major amphetamines exporter and consumer as the trauma of the country's brutal civil war fuels demand and the breakdown in order creates opportunity for producers. 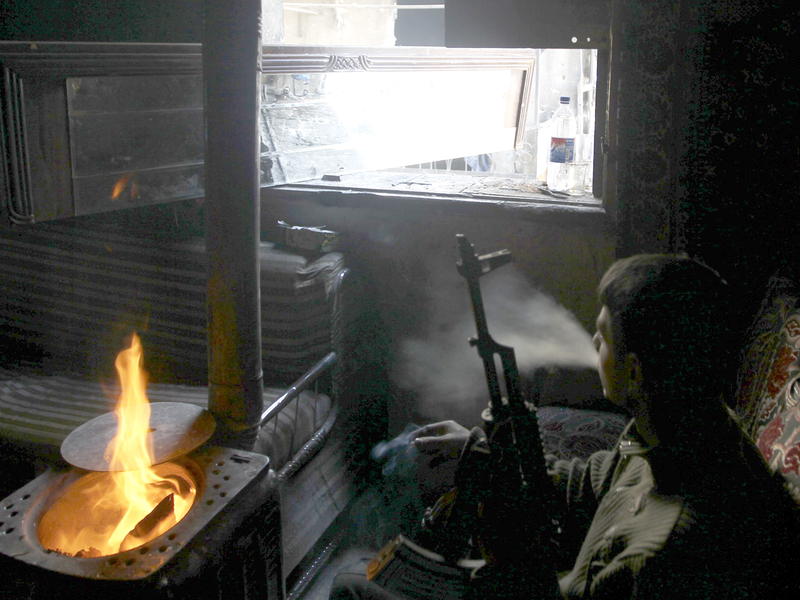 Reports of seizures and interviews with people connected to the trade suggest it generates hundreds of millions of dollars in annual revenues in Syria, potentially providing funding for weapons, while the drug itself helps combatants dig in for long, grueling battles. Even before the conflict, Saudi Arabia received about seven metric tons of Captagon in 2010, a third of world supply, according to UNODC figures. A member of a prominent drug trading family in Lebanon's Bekaa Valley, where much of that country's drug production and smuggling takes place, told Reuters that demand from the Gulf kingdom had increased since then, and Kuwait and the United Arab Emirates were also big consumers. The drug was first produced in the West in the 1960s to treat hyperactivity, narcolepsy and depression, but by the 1980s was banned in most countries because of its addictive properties and no longer has a legitimate medical use. Its active ingredient, fenethylline, is metabolized by the body into the stimulants amphetamine and theophylline. Lebanese psychiatrist Ramzi Haddad said the drug had the typical effects of a stimulant. "It gives you a kind of euphoria. You're talkative, you don't sleep, you don't eat, you're energetic," he said. Production is cheap and simple, requiring "only basic knowledge of chemistry and a few scales", he added. Syrian and Lebanese authorities regularly seize homemade laboratories used to make the pills. National drug control offices in the region also report Syria's increasing role in the trade. Colonel Ghassan Chamseddine, head of Lebanon's drug enforcement unit, told Reuters the pills are hidden in trucks passing from Syria to Lebanese ports where they are then shipped to the Gulf. "It comes from Syria. Most of the Captagon production is there, according to our information," he said. The Lebanese trader said the main players in Lebanon's Captagon trade are established families in the Bekaa who started off smuggling hashish and cocaine decades ago. They either produce the pills themselves or provide the materials and equipment to partners inside Syria and then help smuggle the pills out of the country, he said. Turkish authorities have also identified a rise in Captagon production in Syria. In May, they seized 7 million pills en route to Saudi Arabia, according to Saudi media. The head of Turkey's anti-drug-trafficking directorate said the pills were made in Syria with materials from Lebanon, but he couldn't confirm a connection to rebels there. The opposition retorts that the government is aiming to sully its reputation and say it is the pro-government 'shabiha' gunmen that run the Captagon trade. "These days, the criminals and addicts do whatever they want," he said. "They've increased because of hunger, poverty and lack of work." "The use of Captagon and other pills increased after the revolution even among civilians because of psychological and economic pressures," he said. He said the government exaggerated the drug's prevalence among opponents, but added that it was likely both the shabiha and rebel Free Syrian Army were users, "especially when they are assigned night duty or other long missions". A resident of the central city of Homs said the use of Captagon and hashish had become widespread and open in the past year in his neighborhood, an area populated mostly by Alawites, the same Muslim sect that President Bashar al-Assad belongs to. "It's young people in general, and most of them are in the National Defence Force and shabiha organizations," he said.